>> Note: If you live in “high-priced” states like AZ, CA, IL, NJ, PA, FL, TX or WA, OREP does not limit coverage or raise your rates. The same rates apply in all states where program is offered. Same day coverage. Editor’s Note: This story is taken from the current print edition of Working RE, mailing now. Am I a Subscriber? Pricing is a fundamental component of marketing your business. In this article we look at issues to consider when pricing your services, with emphasis on the role of pricing in your business growth strategy. Here is our inspection report for the home at 123 Any Street. Even if every inspector were trained at the same school by the same teacher and achieved the same grade as everyone else, it’s unlikely each inspector would share the same skill level and experience as his or her colleagues. 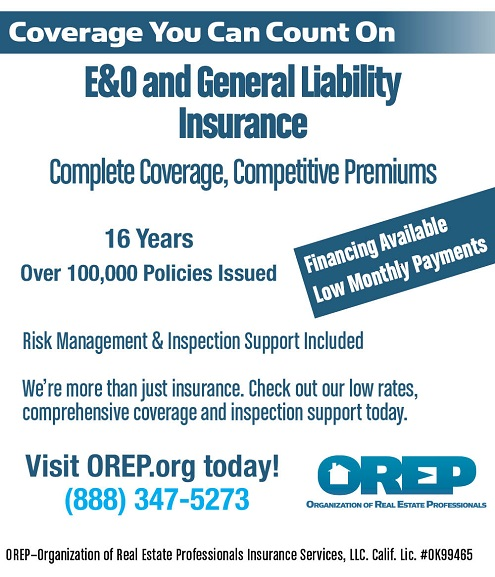 Until all inspections are performed exactly the same way every time and offer exactly the same products, services, and support, inspectors don’t have to all charge in the same price range. Most professional services are cloaked in mystery. The client doesn’t really understand what you are doing. They’ve hired you because you are the expert in this field. 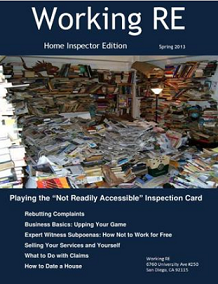 The more you convince your client that all home inspections are not created equal, the more room there is for a variety of pricing. Clients are emotionally attached to the inspection. They are buying the home in which they plan to spend their leisure time, perhaps one in which they dream of raising their children and, possibly, retiring. In other words, clients are investing more than just money in the house. Their hopes, dreams, and fears are also wrapped up in the house. But the clients themselves cannot determine the condition of the house. That’s your job. And because your client doesn’t know anything about houses or home inspections, you are in a position to be the expert and to let them know if their investment is sound. As with any profession, expertise comes with a price tag, and different levels of expertise mean the price tag may vary accordingly. A useful starting point is to research what inspectors in your area are charging. The average across North America was in the neighborhood of $359 as of 2012. There is a big spread on this average, however. For example, in our market, the average fee was about $400. Once you have this information, you can pursue one of several strategies to setting your own price. Option 1: Charge the same as everybody else. Many new inspectors choose this option because it appears to involve little risk. But there is also little to gain from this strategy. If you price your professional services in a generic way, you come across as generic. Option 2: Charge less than everybody else. This strategy is often used for new products and services. It gives new inspectors an opportunity to break into the market. The theory is to scoop the market share and then raise your prices. Many consumers who hire professional services feel that the least expensive service has nothing to compete on except price, so it is not a wise choice. Option 3: Charge more than average. For a professional service, a strong, perceived association between price and quality suggests you should put your prices up. For example, let’s assume you are planning to have laser eye surgery. Who are you going to choose to perform the surgery, the cheapest surgeon, an average-priced surgeon, or a surgeon who charges just a bit more than everyone else? Even if the most expensive surgeon didn’t have a compelling reason for you to choose him or her, you might pay the premium because the price suggests high-quality service. Have you ever been to a restaurant with someone you wanted to impress and ordered a bottle of wine based on price rather than preference? If so, this proves that price does suggest quality. Here, we’ve briefly introduced the topic of setting the right price with some strategies and considerations. In our next article, we will discuss a bit more about strategic pricing issues. We’ll talk about when it makes sense to use flat rates and when it makes sense to use a price matrix. Reprinted from the ASHI Reporter, June 2014 edition.